Motherhood can be lonely. Incredibly lonely. You can sit in your house for days… weeks… feeling like you are the only woman in the world wading through the newborn haze or stumbling through toddler territory. And then, you turn on your computer. And you meet a woman going through the exact same thing at nearly the exact same time. On the other side of the world. That is the story of Zanni and me. Zanni, of Heart Mama, welcomed her second daughter just days before my son arrived and so we’ve been on the same journey for months. I recognized my own experiences in her words as we enjoyed the final days of our pregnancies, welcomed our new little wonders, and bravely entered the world of mama-to-two. So often, I’ve read her words and breathed a deep sigh, finding my own feelings so beautifully and eloquently expressed. If you don’t know Zanni, read her story of growth here and then go visit her at Heart Mama. No-one ever said it was easy. For some, the challenge is taking children shopping. For some, it’s getting children into bed at a reasonable hour. It’s sleepless nights. Fights with your partner. It’s trying to cook dinner and keep some kind of order in the house, while chaos erupts from every corner. It’s feeling lonely and unsupported. It’s dealing with difficult pregnancies or health problems. Dealing with children’s health problems. Dealing with pain, suffering and grief. In the early days, when I complained, my husband rubbed me on the back. Try not to see it as a problem. See it as an opportunity for growth. He pointed out that lying in the dark for an hour trying to encourage a restless child to fall asleep was a perfect lesson for me. Impatience has long been my downfall. I itch to complete something and launch into the next task. Lying next to my child was a lesson in lying still. I calculate that I have spent 1,099 nights practising patience. As my baby became a toddler – a surprisingly reasonable and communicative toddler – life became simpler. 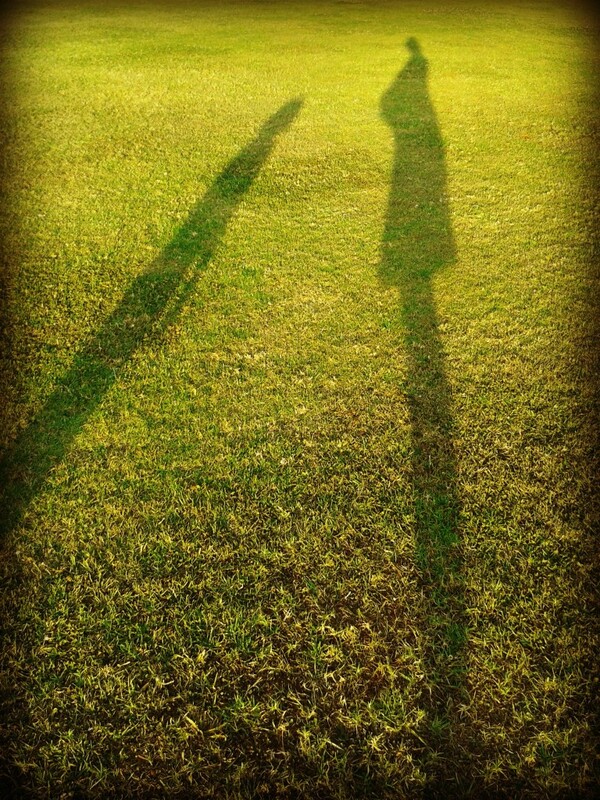 We had fun together, she and I. And I had found the balance between doing things I loved, like writing, and spending quality time with my mini companion. The sun shone on our little house. We welcomed a new little person to the sunshine house this October. I gritted my teeth for the notorious newborn, sleepless months, but they never came. My baby has been sent from planet bliss. The challenge was something unexpected. Most days, my older daughter Elka is reasonable and communicative. My little companion. I have marvelled at the absence of jealousy towards her baby sister; at her gentleness with a baby; her generosity, welcoming a new person into our midst. Some days, though, I feel disconnected from her. Between breastfeeding, baby-gazing, keeping the house in order, trying to work from home, and doing a minute amount of exercise, I sometimes struggle to spend quality moments with her. Some days pass, and she asks Daddy to put her to bed. I feel redundant and distant. I long for her companionship and her friendship. Pain shoots through my gut from the rejection. My heart feels like lead because I have let her down. Some days, I am also challenged by my response when she melts onto the floor in a fit of emotion, or chooses an expedition around the supermarket on a hot and busy day to exert her right to do exactly the opposite to what I ask. I feel so angry. I heat up; a fire that starts in my toes and works upwards until my head feels like it’s going to explode. As the heat rises, I can hear the words that want to tumble out – angry words. Controlling words. I stop them. I want to say them but know I will regret it when the anger has subsided. I confided in my husband. This is how I feel – I feel angry. Angry towards my beautiful girl. Then I feel awful because I felt so angry towards a three-year-old. This is how I feel – I feel rejected. Then I feel ashamed, because I am the adult and she is the child. He reminded me that children are our greatest teachers. They give us the perfect opportunity to change and to grow. Because our emotion is directed towards our child, we can’t walk away, like we might if a stranger had us fired up. We have to deal with how we respond to them. A negative response towards our children is frequently followed by guilt – nature’s way of reminding us we can change; we can do better. Our strongest instinct is to love and protect our children from harm, including our anger. We are therefore more likely to make a commitment to change our responses. Parenting can be hard. You are challenged by things you never thought would bother you. But becoming a parent is an opportunity for growth. Each challenge is a lesson in disguise, and a child is a mini-teacher. As 2013 dawns, I think about the gift my daughters give me – the gift of self-discovery and self-development. I nourish them, and in turn they nourish me. Together we grow. 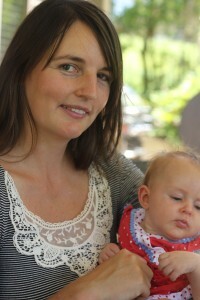 My name is Zanni, and I am the author of Heart Mama – a blog designed to nourish little hearts. 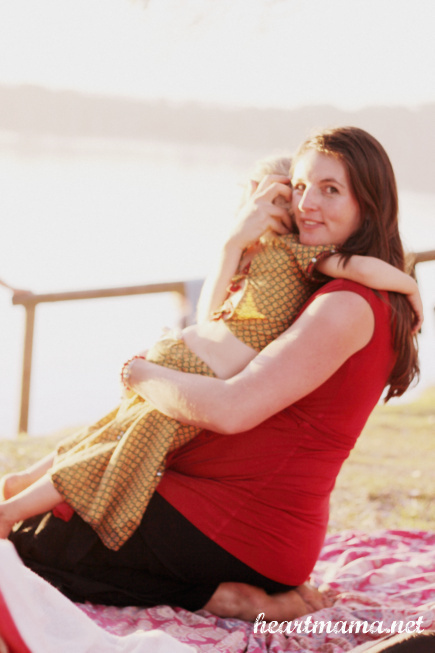 I live in Northern NSW, Australia, and am the mother of two girls – Elka and Eve. I am a feature writer for an Australian website called Mumgo and also write educational resources for an Australian publishing house. 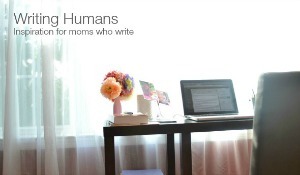 I was honoured to have been asked to write for Raising Humans. Tricia and I have been journeying in parallel, each of us welcoming a second child to our homes in 2012. I love her writing and what she represents. Please come by and join me at the Heart Mama community on Facebook and visit the Heart Mama blog. Thanks for sharing your story. Parenting is hard. It’s nice to hear honest stories from real people. How do you import a recipe into a grocery list?Can you multiply a recipe times the number of servings that youp want to make?Can you add units of measure? Like tsp, cups, tbsp, etcWill the grocery list combine the indtigeenrs together on the grocery list? Ie two re,ipes that call for 1 cups of sugar, so that the grocery list shows 2 cups of sugar.I have the full version. à¸žà¸¹à¸”à¸§à¹ˆà¸²:IÃ¢â‚¬â„¢m normally to blogging and i actually admire your content material. The write-up has truly peaks my interest. I’m going to bookmark your internet site and keep checking for brand spanking new data.